Welcome to FrankWealth.com: How To Legally Start Your Business In The U.S.
How To Legally Start Your Business In The U.S.
Hi guys, welcome to yet another interesting guide to financial freedom via entrepreneurship. Remember, in all my books, tapes and publications, I keep reiterating the fact that you can never be rich if you do not have your own business. Starting up your own business is the first step to becoming rich in life, and until you make that bold step of starting up your own business, you may never know your potential in money making. In case you are still in doubt or don’t know which business to start, I am sure you will need to get a copy of Untold Secrets to Create Wealth from Nothing from lulu.com or get a kindle copy from Amazon here. Untold Secrets to Create Wealth from Nothing will take you by hand and show you how to start making money online and offline from scratch. Some of the businesses revealed in the book will require small capital investment to start up, while some don’t, so I will advise you to start with the ones that require no startup capital and then save up to reinvest in the other ones. But if you have some capital to invest, then you can start with those that require initial investment. Let’s move on with today’s topic- how to legally register your business in United States of America. An FBN is the name of your business. When doing business in the U.S., you're required to get one if you conduct business using a business name that doesn't include part or all of your real name (e.g., "Joan's SEO" and "Smith's SEO" would not need an FBN as these are the first and last name of the owner, but "Xetorv SEO" does since it doesn't have any part of the owner's name in it). 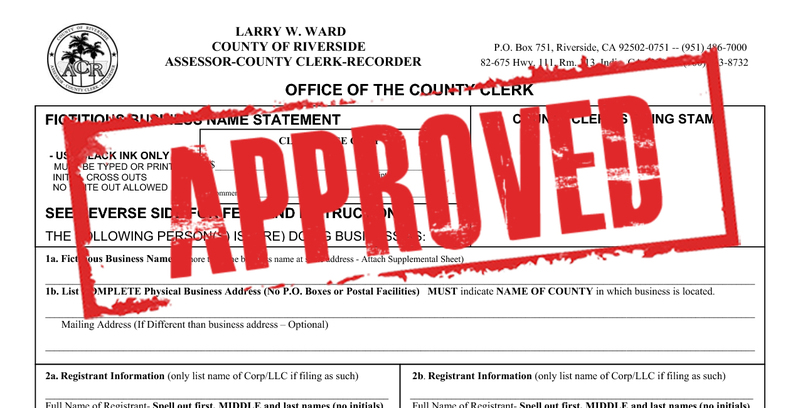 If you live in the United States, you can obtain a fictitious business name for a sole proprietorship (this is simple to set up, although your business will not be a separate entity from yourself, which means you'll maintain full liability for your business) through your county clerk, which you can find by using Google Maps and typing in "county clerk of (insert your county name)". Once you've done that, you'll have to go through some newspaper publication for around 4 consecutive weeks, which usually ranges in price between $35 and $200 (it was $35 for me, but most are somewhere in-between). When that's done and over with, you either need to go back to the county clerk's office and finish the filing process or let the newspapers handle it (again, I got this done with the same $35 fee). The purpose of an EIN is to allow the IRS to track wages and payments from your business, although it's also useful for using in place of your SSN if one of your clients hands you a W-9 form. You can actually get this before the FBN if you want, although the order doesn't matter much and depends on when you need it. The process is actually fairly simple and doesn't take long to complete (30 minutes to an hour). It can also be completed entirely online through the IRS website, where you'll receive your EIN immediately after. Now it's time to apply for a home occupation permit (if you don't have an office). Contrary to what you may think, even if you don't do business directly from your home, you'll need to apply for a home occupation permit as this permit allows you to accept self-employment income coming into your home. Before you apply, you'll need to pick up the registration forms from your city hall or their website, fill out the forms, and ensure that you do not have to get approval from your Home Owners Association. Now, the process of receiving a home occupation permit is simple for Internet-based businesses as our equipment usually doesn't use up that much space (a laptop at the minimum). The city will send someone down to your residence who will ask to see where you'll be conducting business (if it's a computer, show them the room where the computer is at. If its a laptop, point to the laptop), they'll approve you, give sign off on your HOP, and then you'll need to make one more trip to the city hall. We're almost done. When you've received your FBN, EIN, and Home Occupation Permit, you'll have to make a trip to your city hall to find out if you need a business license to conduct business in the area and accept transactions (you'll more than likely need it, and I'll explain why in the Home Occupation Permits section). This is usually handed to you on the spot and cost around $35 (although the prices vary between businesses and cities). Once you've completed all of the steps above, you'll have officially have a registered business, which you can use to show prospects and clients that you are taking what you do seriously, which is great trust factor when you're starting out. Setting up your LLC in states like Wyoming, Delaware, and Nevada have some benefits because of their purported "liability benefits" and reduced annual fees (for instance, in California, an LLC's need to pay $800 a year in addition to their state and federal taxes, which makes it difficult for a young entrepreneur to cope).